May is here!…time for an updated Windows 7 Smashing Magazine theme pack! 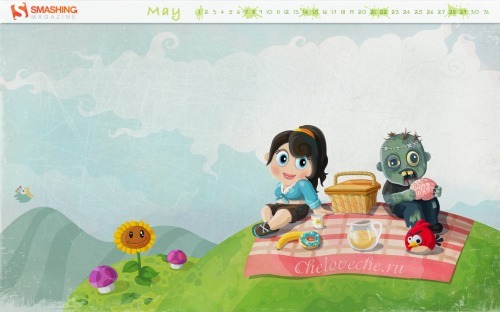 The May themes seem to be pretty random to me…no clear theme from contributors…zombies at a picnic? Ok, I guess. Here is your May 2011 Windows 7 Theme Packs for wallpapers – unfiltered and uncensored – about 26 wallpapers in all.